Recent research has evaluated the motivational functions of educational games and its potential role for the teaching of reading skills. Educational games must maintain their educational function retaining clear definitions of the teaching objectives and instructional methods. Reading skills can be broken down into more basic behavioral units. Each relation between spoken words and written words can be evaluated and taught separately. 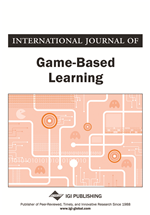 This paper evaluated the impact of a game on a reading instructional procedure that has been successfully applied in Brazil. Two matching-to-sample teaching tasks were tested on 15 children in literacy ages. In the condition of standard teaching, only the matching-to-sample tasks were presented. In the game-based condition, the same matching-to-sample tasks were interspaced with game challenges. A behavioral choice procedure indicated the participant´s condition choice. After learning 15 words, the participants responded a computerized version of the Learning Motivational Scale of Basic Education, which identified the intrinsic and extrinsic motivational factors. Results show no motivation and reading scores correlation and validate the choice procedure as reliable predictor of preference. In developing countries there is a gap in children´s literacy, creating an urgent demand for pedagogical materials that increase their engagement in reading learning. Games could help this engagement process, allowing the programming of additional rewards for the acquisition of each component of reading (i.e., phase advancement) (Boyle, Connolly, Hainey, & Boyle, 2012; Przybylski, Rigby, & Ryan, 2010; Turgut & Irgin, 2009). However, it is necessary to evaluate if the educational games maintain their educational function and also add the expected motivational factor (Deen & Schouten, 2011; Hainey et al., 2011). After an extensive review on engagement on video-games, Boyle et al. (2012) indicated how difficult is to determine non-game-based conditions to act as a control condition in motivational research. The aim of this paper is to add game component to an already tested teaching program as a form to evaluate game impact on motivation. Reading teaching programs already tested can be a basis for the evaluation of educational games, since changes in baseline performance in these programs can indicate the motivational influences of the educational games.